Fort Payne Police are asking for the public’s help in identifying a man who allegedly committed an armed robbery over the weekend. 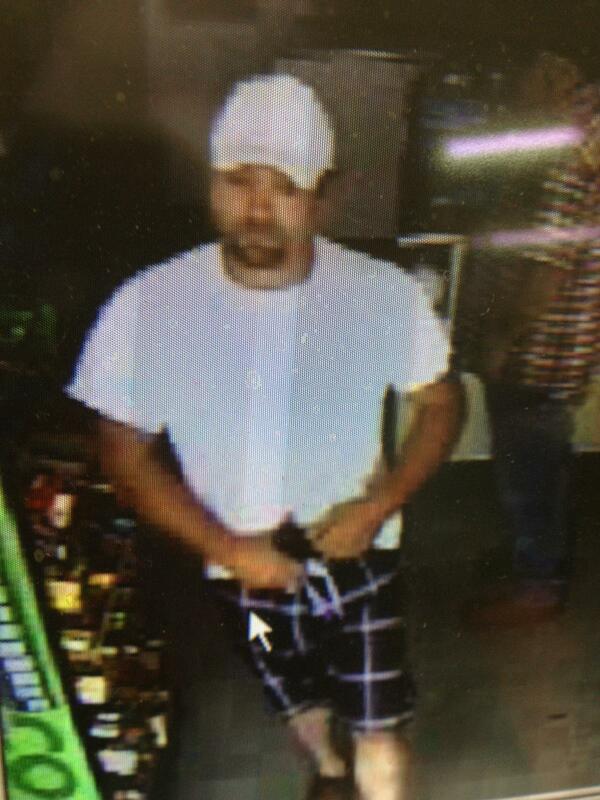 On Saturday at 12:25 pm a white male with facial hair wearing a white t-shirt, blue plaid shorts and a ball cap entered a local convenience store and pointed a gun at the clerk and demanded money. He left the store without any money and got into a black Chevrolet Z71 step side, with a gold stripe on the bottom. The suspect appeared to have a tattoo on the left inside of his forearm and possibly outside of his forearm. Anyone with information on this subject is asked to call the Fort Payne Police Department at (256) 845-1414.